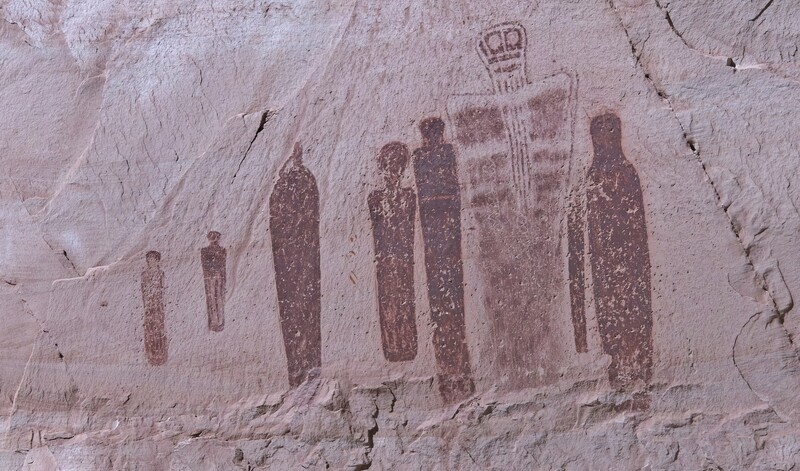 A pictograph is created by using a dye on the surface in a manner similar to painting. 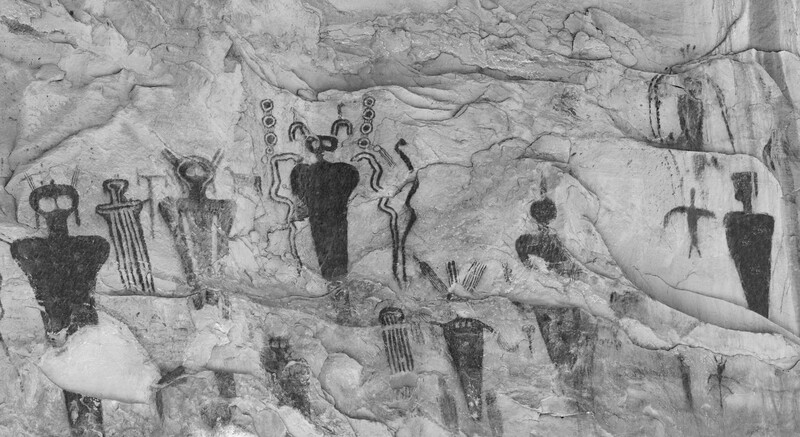 To make a color, minerals were ground into a fine powder which was then mixed with a binding agent like animal blood, fat or tree sap. 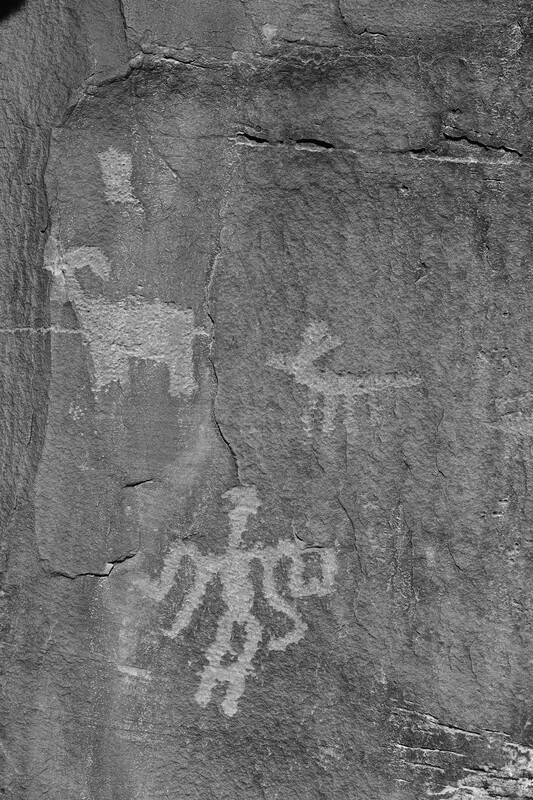 Most pictographs are found on smooth rock surfaces that are covered by an overhang. 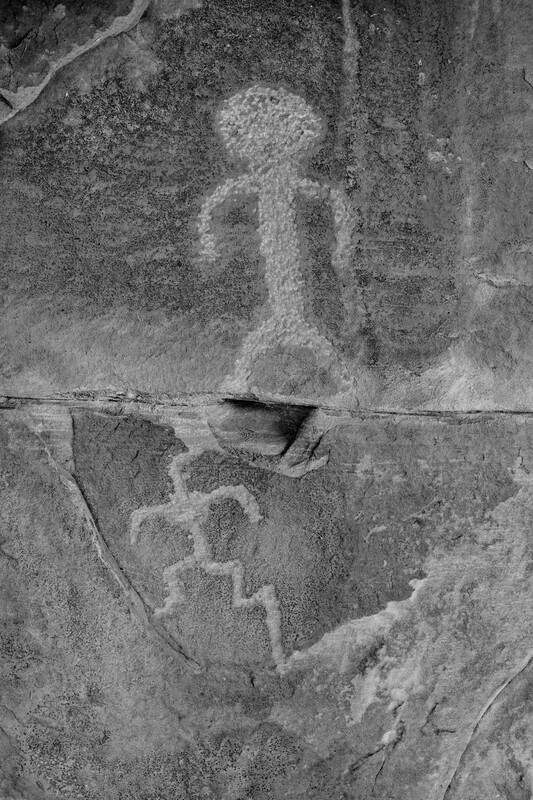 The overhang provides protection from water. 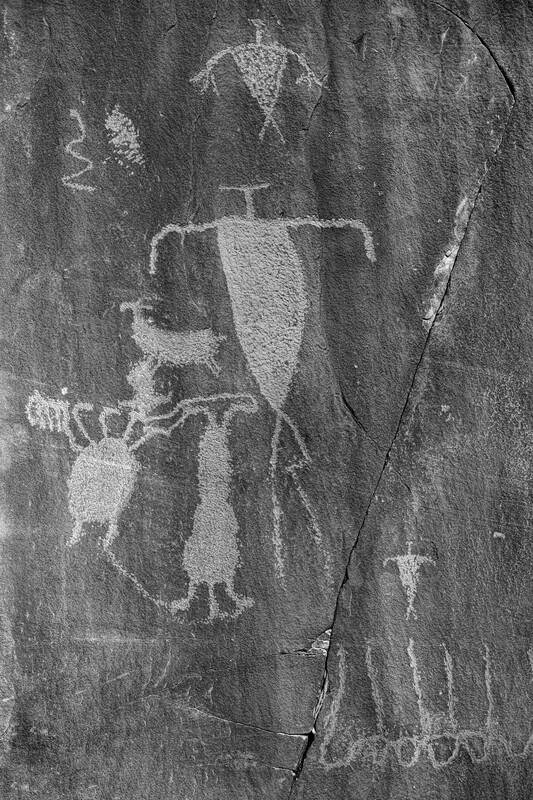 Petroglyphs are created by carving out images on the rock surface. 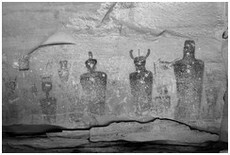 They are generally carved into sandstone which is a relatively soft rock. 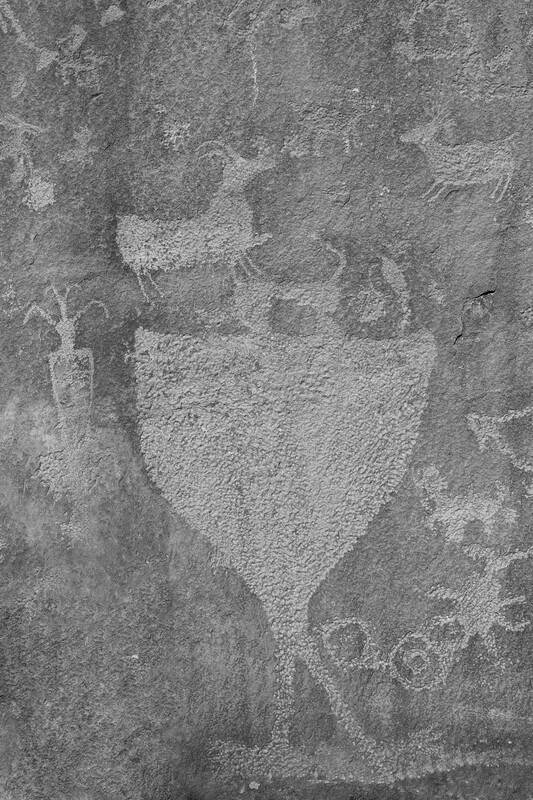 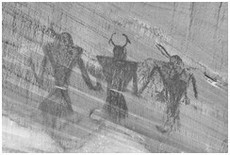 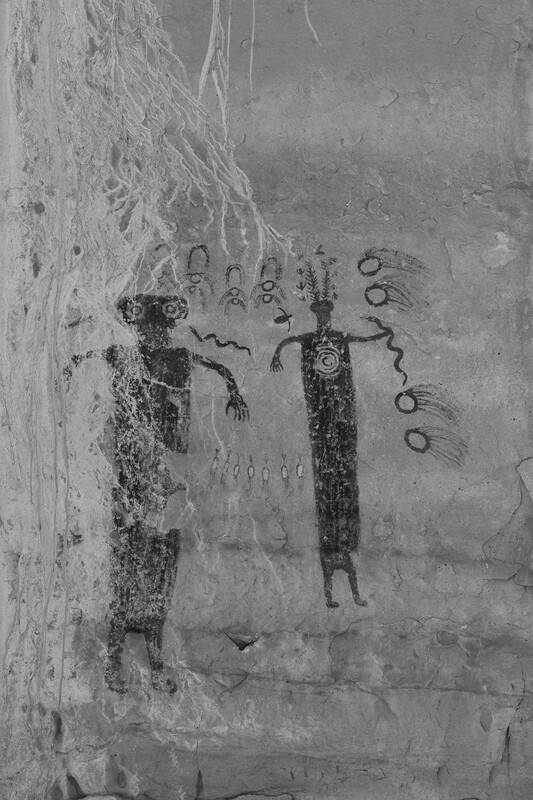 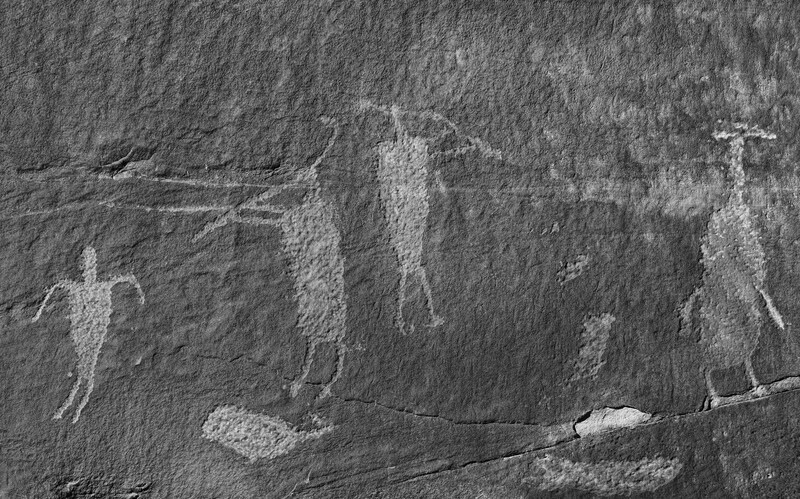 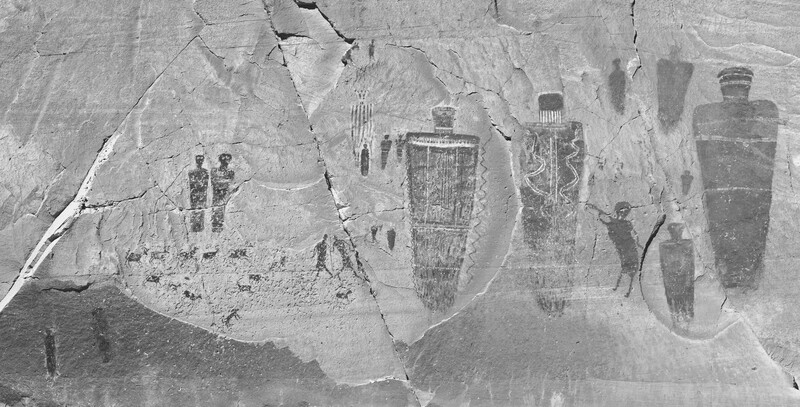 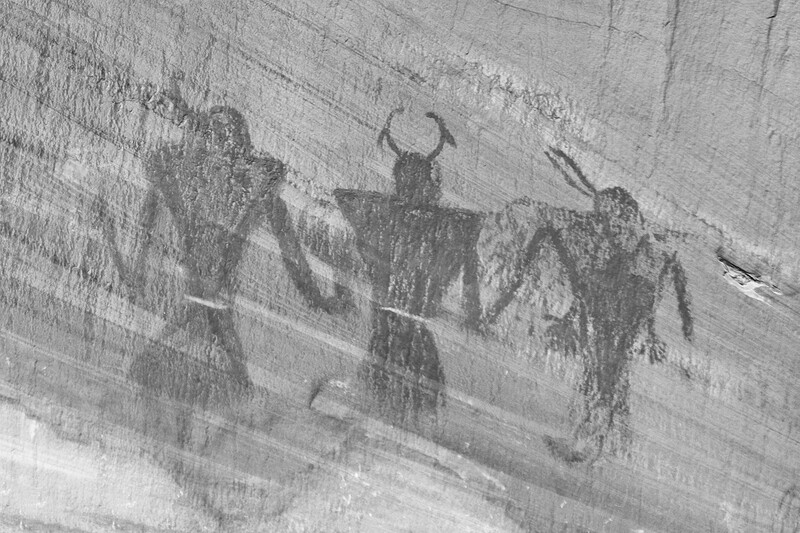 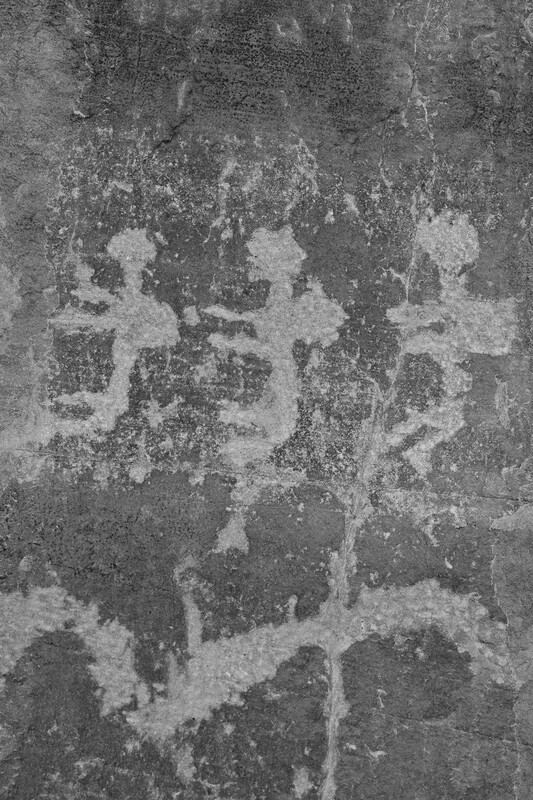 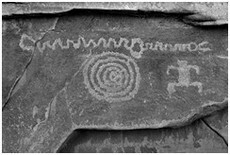 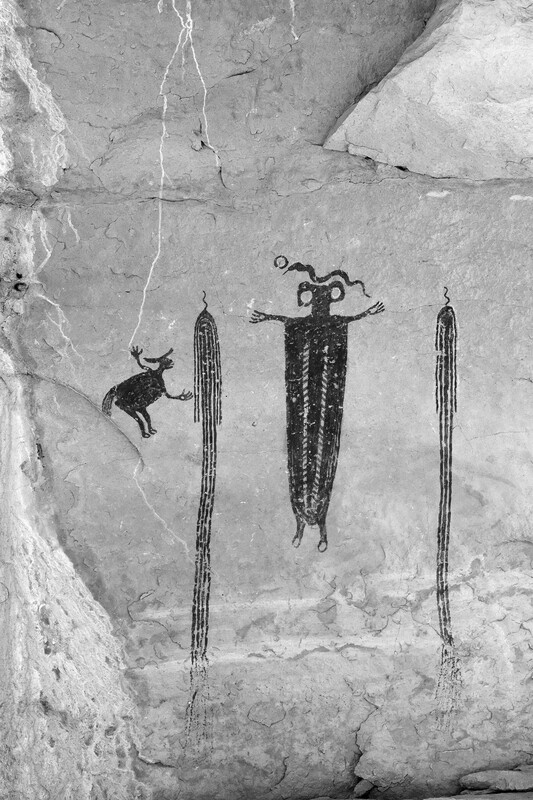 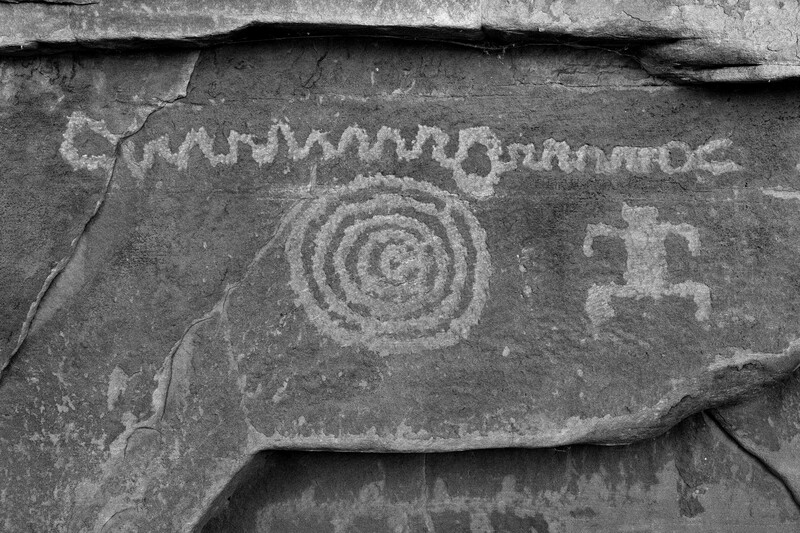 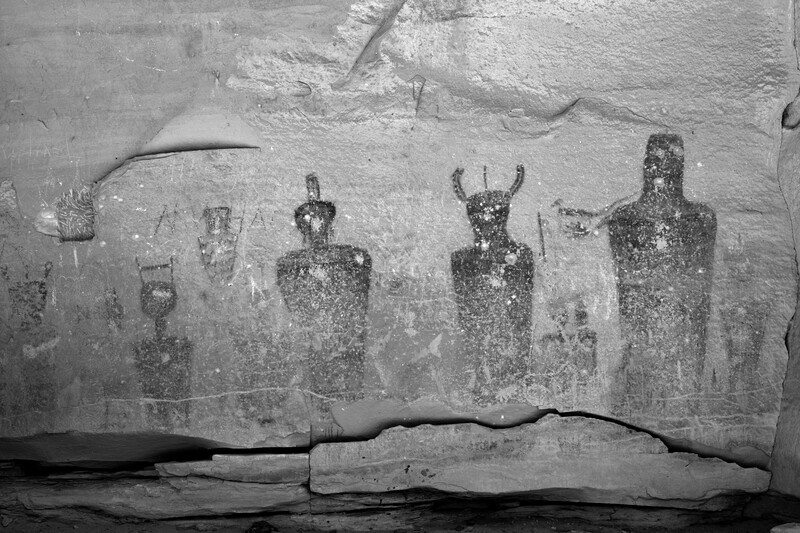 Petroglyphs can last in open environments better than pictographs but fade over time.